A mammoth ocean marine park officially broke ground in China, and its proposed "Orca Theater" may prove to be pure misery for animals. 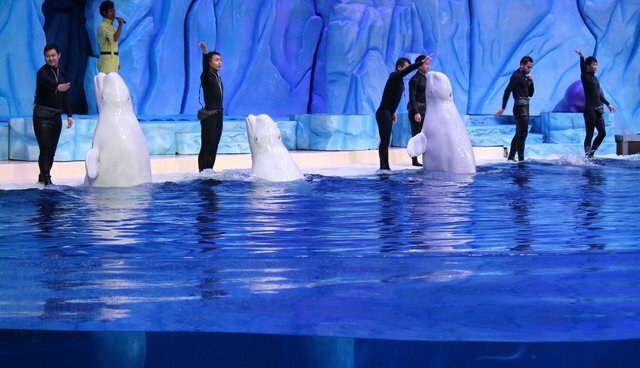 The Shanghai Haichang Polar Ocean Park, set to open in 2017, hopes to feature "the most entertaining" marine animal shows and cater to 6 million guests annually. Other parks owned by the same parent company have an assortment of wild animals, including emperor penguins, polar bears, walruses, dolphins and beluga whales, who are reportedly sourced almost entirely from the wild. It is unclear if the new park is following suit, though at least one coalition, the China Cetacean Alliance (CCA), says it will likely feature orcas from their natural habitat, probably in Russia. The CCA - an alliance of conservation and welfare groups- recently sent a letter to Haichang Holdings, the park's operator, asking it not to exhibit orcas or capture any animals from the wild. The alliance says that orca families are torn apart during the capture process, that the captive facilities are only a fraction of the animals' natural range and that the life span of captive orcas is half of what it would be in the wild. In their natural habitat, male orcas can live up to 60 years and female orcas up to 100 years. 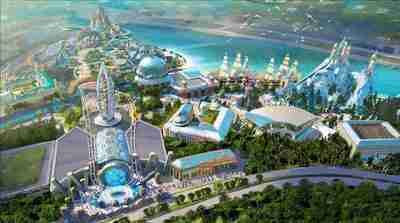 Haichang Holdings is not new to marine parks - or to controversial, interactive marine plazas. Last year, its Wuhan Polar Ocean World played host to an engagement in which the groom proposed to the bride on the nose of a dolphin. However, as the largest developer and operator of theme parks in China (it operates eight other large-scale parks in the nation), the company maintains that it is committed to animal welfare. But there's an explosive - and worrying - number of facilities with captive mammals in China, says Peter Li, a China policy specialist for Humane Society International (HSI). "However capable [they are] of seizing business opportunities, [they] do not have the specialized knowledge and expertise that captive wildlife institutions demand," Li, who is also an associate professor of East Asian politics at the University of Houston–Downtown, told The Dodo. "The welfare problems of Chinese zoos and wildlife parks and ocean parks are among the biggest number of inquiries HSI has received over the years." Li says there have been a number of recent examples of animal abuse in theme parks in China, from tigers who were starved to death in a wildlife park to a panda who died, allegedly from physical and mental abuse in a zoo - though that zoo denied any mistreatment. 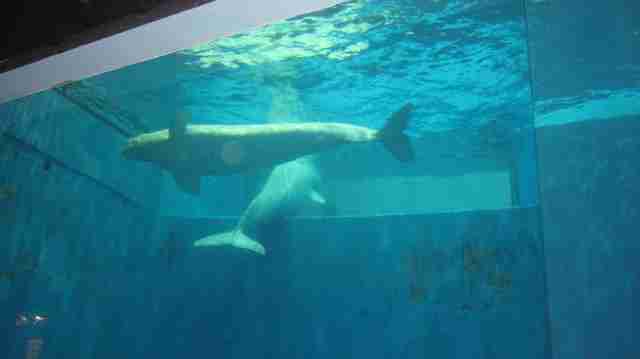 Very recently, Li tells The Dodo, Chinese activists witnessed the brutal stabbing of a beluga whale at an ocean park when it failed to perform in an act. Li, who travels to China frequently, argues that the country's animal welfare standards are several decades behind those in the most developed nations. 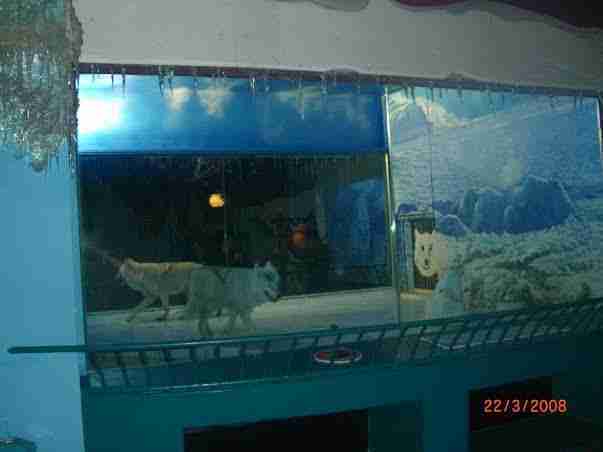 "China," he says, "has a gigantic task: to improve, if not abolish, its existing wildlife display facilities."